Patanjali Ayurved has seen a meteoric rise in the past few years becoming a household name. A combination of low prices, claiming to be ‘natural and pure’ and the ‘swadeshi’ positioning are widely acknowledged behind their success. Known to be the controversy child in the FMCG business, Patanjali has surprisingly survived in the market battling it out with other leading FMCG products. With over 5000+ retail outlets, selling over 444 products including over 30 types of food products it has garnered a pretty decent customer base for itself. In the era of start-ups, every other company claims to be disruptive, but hardly a few of them pass the litmus test and survive. This would either mean creating a new product that addresses an untapped market or to create a cheaper, simpler or convenient alternatives to existing products. In a relatively packed FMCG space that is dominated by the HULs, P&Gs, and ITCs, Patanjali has emerged as an underdog posing a tough challenge the ‘Big-Daddy’s’ in the market. Starting off as a Pharmacy store back in 2006, Patanjali has grown into one of the serious contenders having an array of products catering to all FMCG segments. What is it that makes Patanjali stand out? Today Patanjali Ayurved is spread across the country and sells a splendid range of food and personal care items. It is larger than some of the peers in the industry such as Emami, Jyothy Labs who have been in the market for more than two decades. Patanjali is also perhaps the fastest growing FMCG in India being the latest entry to the 5000 Cr club within less than a decade. With a single brand strategy (branding all its products under the same name – Patanjali) like Google and Microsoft, Patanjali was able to stand out from the other market leaders like HUL, ITC etc., It was much easier for Patanjali to gain visibility in the market with this strategy. Quality products at a cheap price, Made in India, the Swadeshi positioning have been some of the key contributors that made Patanjali stand out from the crowd. Patanjali’s aim is to make products available to the consumer at the fairest price, and therefore most of its products come at a considerable discount to existing options. The price factor and a uncompromised quality are some of the main reasons for its loyal customer base for the given product category. With over 444 products which include 30+ products in the food sector, Patanjali has now become a household brand leading to huge Patanjali Megastore outlets across the country. Their success mantra has pretty much been with the franchises. How GOFRUGAL has helped Patanjali Megastores grow even faster! Patanjali Megastores sell their products from multiple categories all under a single roof. Managing an inventory with these many product categories would be one mountain of a task. This is where GOFRUGAL software has come in for the rescue to avoid mismanagement of inventory, accounts with utmost ease. 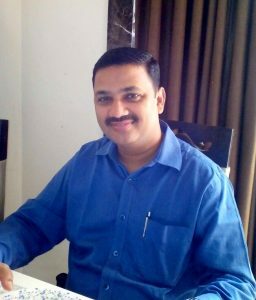 Mr. Akhil Agarwal who has been running various businesses in the past wanted to start a Patanjali Megastore after finding a huge demand for their products. He wanted to serve the under-served market where he found a huge demand for Patanjali products but no one place to buy them all. Tell us about your journey into Patanjali? ‘I found Patanjali’s product quality at the cheapest price in the segment which is one of the key factors that interested me about Patanjali.’ says Akhil. ‘I liked the idea of Patanjali Megastore which showcased all their quality products at the cheapest of prices in a ‘supermarket’ way.’ adds Akhil. What drew you to GOFRUGAL? ‘I understood that only a powerful software would handle so many product categories and hence Mr. Laddha suggested me GOFRUGAL POS since it had solved all the inventory management woes to some of his prime customers.’ says Mr. Agarwal. How has GOFRUGAL helped you to manage your business better? The exhaustive integration of the billing systems to the inventory has been the winner. The mobile services have impressed me a lot since it saves a lot of time both for my business as well as my customers. The apps have let me have a look at my business reports wherever I am which gives me the space to think about scaling up my business. One message that you would like to share with your fellow Patanjali Megastores and other retail store owners? Having a compact system like GOFRUGAL software at your store avoids the micromanagement that is inevitable for store owners at times which is mentally taxing. With technology taking over, I’d say let us make the most out of it so that there are better things to focus for a businessman like me. I feel that in today’s competitive market for any progressive business to be ahead of the game, going digital is a must. Mr . Karsan is one of the 3 partners of one of the leading Patanjali Megastores in Ahmedabad. He also owns a construction material supply chain too shares a similar story on how he started his journey with Patanjali. Share with us how you got started with Patanjali? The way it all started might sound strange for most of you. I use to visit my clients regarding my construction supply business. 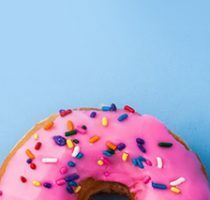 At some point, I started noticing one thing in common with most of my leading clients – they all used Patanjali biscuits and other edible products at the coffee table. I instantly started liking Patanjali products which I believe is natural and healthy. The ‘Made in India’ factor was also one of the reasons that impressed me. What’s your local community and surroundings like? The idea of starting a Patanjali megastore struck me after finding a similar liking from people around me as well. But starting a Patanjali megastore in a city like Ahmedabad did not happen that easy, it needed more efforts but smart efforts. After 6 months researching about the brand and the demand for Patanjali in the retail market, the moment finally arrived when I, along with my partners decided to start an exclusive Patanjali Megastore. What brought you to GOFRUGAL? On the look out for a good POS solution for their new business, one of his partners registered with GOFRUGAL. My partners and I instantly liked the product during the demo. GOFRUGAL software has made our business processes more streamlined and organized. The integrated ‘Accounts’ module has saved a tremendous amount of time at the end of every financial year filing our taxes. The 24/7 customer support has been on time whenever we needed them. ‘The WhatsNow app lets us update ourselves of their business even while we are away. It has really helped me to access my business reports anytime, anywhere without any human dependency’ claims My. Vijay Vyas. GOFRUGAL wishes them the best for their upcoming new store in early 2018. Patanjali Megastore Ahmedabad is yet another success story using our product. ‘I will be using GOFRUGAL’s Retail POS for my upcoming store as well son’, signs off Mr. Karsan with his natural broad smile. 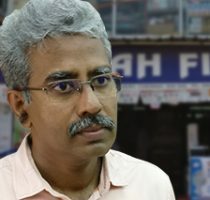 Mr. Mahesh has been running his jewelry business for over 25 years and he shares his story about starting the India’s largest Patanjali Megastore outlet. Why Patanjali? Tell us more on your journey. The ‘Make in India’ has been a vital reason behind my venture into Patanjali Megastore retail. I wanted to address the increasing demand for good quality Patanjali products that were offered at low prices, so alongside my brother, Ghanshyam I started our Patanjali retail store on January 1, 2016, Ours is the largest in India, spread across more than 3000 Sq. ft.
‘It is a very proud feeling for me when I contribute more to the Indian economy through my Patanjali outlet’ says Mr. Mahesh Gondiliya, the owner of India’s largest Patanjali Megastore. I have been a user myself of Patanjali products for the since 2009. Impressed with their ideologies and principles, alongside my brother I wanted to explore starting a Patanjali retail outlet. What brought you to GOFRUGAL? How have you found it? Being a businessman, I understood that managing the inventories and the business of India’s largest Patanjali Megastore was not a simple task. It needed the best of personnel equipped with the right tools to be able to pull it off. That was when I came across the software system which even the largest of retails preferred – ‘GOFRUGAL Retail POS‘. It was suggested by a very good friend of mine Mr. Laddha from Turbonet. What did you like in GOFRUGAL POS? Would you recommend it other outlets? I instantly liked the capabilities and effectiveness of GOFRUGAL retail POS during the demo. The WhatsNow mobile app lets me access to my business reports even when I am out of the country. I was using another software for the last 14 years but it was by no means capable enough as GOFRUGAL POS. It has been more than a year with GOFRUGAL, one of the easiest and powerful software that I have seen to manage my huge inventory. ‘GOFRUGAL POS is the best software I have seen and for sure I would recommend it to other supermarkets especially Patanjali outlets across India.’ signs off a proud Mahesh. Arvind Chawan – TurboNet Systems Pvt Ltd.
TurboNet Systems Pvt Ltd has been a renowned hardware and software provider/reseller to most of the Patanjali Megastores and other leading retail outlets in the region for the last 15 years. Turbonet has been associated with GOFRUGAL as one of our partners since 2014. Within such a short span, they have done a spectacular job of offering our products to some of the best retailers in the Mumbai region. Mr. Arvind, the founder says ‘I recommend GOFRUGAL to the business owners who are very passionate to grow fast and take their business to the next level and it has worked wonders. This software will not leave any stone unturned during your each and every step towards success.’ says Arvind. Being in business for more than a decade now, TurboNet is the go-to place when it comes to any IT hardware and software for a new retailer starting up his store. Patanjali Megastores are just one of the many big retail chains who are in our long list of happy customers. The best in the business recommend GOFRUGAL retail POS for any type of retail businesses. We serve over 25000+ customers in over 35+ countries overall and around 10000 customers in retail segment alone in the last 15 years. 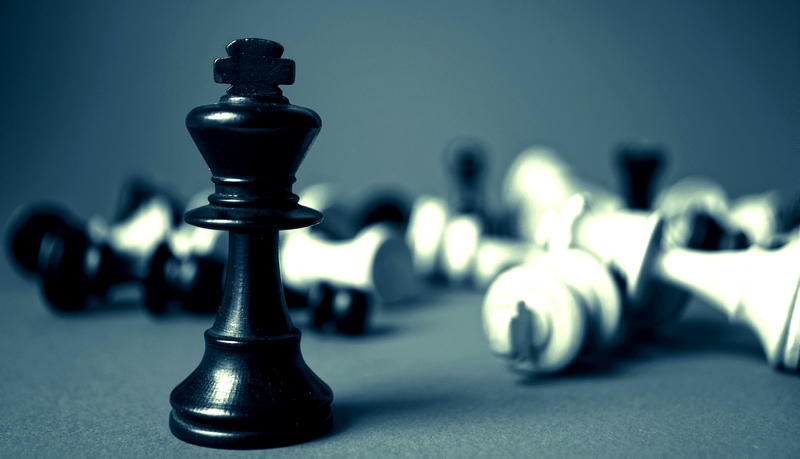 We believe in giving the best solutions to your business. With over 14 years in the market, improving at every single opportunity we have come across, we have indeed come a long way and have a few thousands of happy customers. We have not disappointed our customers and WE NEVER WILL. Join among one of our 25000+ happy customers, share your story with us. 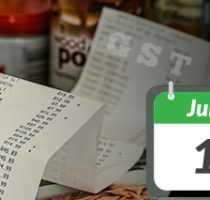 How GST will impact Retail Business? Wow! this article is nice and gives us too much information about Patanjali. Gmart is one of the application by which you can buy Indian grocery from Singapore. Patanjali store in gmart are available. Gmart is also include Patanjali products in its store. Patanjali products are very popular in Singapore nowadays.